Georgia Tech prepares for another football gameday. This course is aimed at teachers who wish to review how they go about the practice of teaching maths, those who are considering becoming maths teachers, or those who are studying maths courses and would like to understand more about the teaching process. This OpenLearn course provides a sample of level 2 study in Mathematics. 25 Years After President Ronald Reagan's Assassination Attempt. 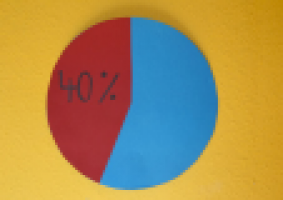 Werkblad om percentages te kleuren op een honderdveld, een balk of cirkel. Er wordt gewerkt met actuele voorbeelden.